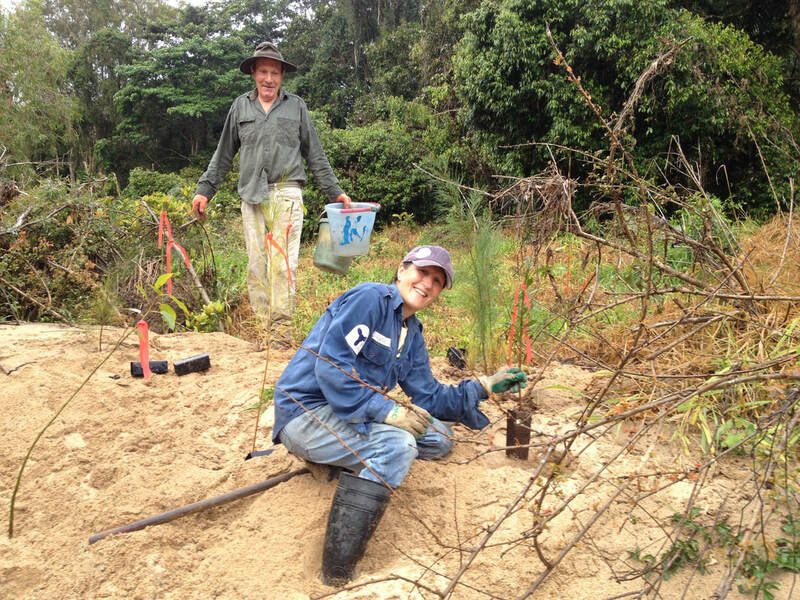 ​In 2012, Kuranda Envirocare received a grant from the Australian Government, under the "Clean Energy Future" program for a five-year project to connect the Envirolink and Fairyland Corridors along the Barron River. 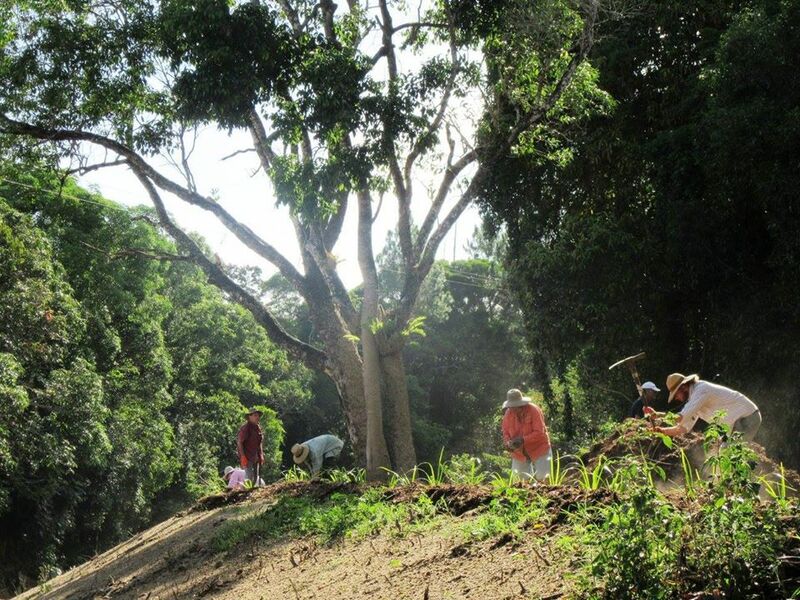 The project will revegatate 6 Ha and restore and reconnect 6 Ha of rainforest remnant along the Barron River between Mantaka and the Kuranda District State College, by planting over 25,000 trees. Native rainforest species seed is collected by volunteers from their backyard, the local area and established revegetation sites. 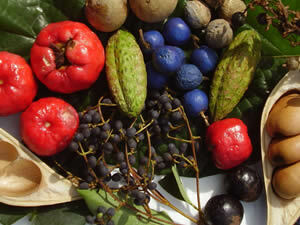 Local native rainforest seeds will be propagated in our community nursery. Site prep involves the removal of live weeds either via spraying or physical removal from site. Generally guinea grass and lantana infested sites are sprayed lightly and the grass left to decay over a 6 month period to form a mat of mulch. This makes for excellent plant establishment. For a community planting that consists of 500 or more trees, holes will marked out and pre-dug for easy and quick planting on the day. Trees planted at 1.5m intervals on our Saturday planting mornings by volunteers ensures that we get a canopy cover within 2.5 to 3 years thus reducing significantly the amount of weed control maintenance required. We use the maximum diversity framework species as outlined in "Repairing the Rainforest" book by Goosem and Tucker to ensure that the correct species are planted in the right place to ensure fastest canopy closure. The site will be maintained to eliminate competing weeds until canopy cover is reached. Community engagement to promote owner revegetation on private land in wildlife corridors will be undertaken. This project will connect a completed 14 year project (revegetation of the regional priority Envirolink Wildlife Corridor intersection with the Barron River linking the north and south sections of the Wet Tropics World Heritage Area with completed revegetation of the area around Warril Creek, which in turn connects to the Fairyland Link Wildlife Corridor, a nationally important biodiversity hotspot with three endangered species. The Myola area centred on Warril Creek is a nationally recognised biodiversity hotspot and site for species recovery. The improved water quality of runoff water into the river will directly improve survival and breeding outcomes for the local endangered frog species, Litoria myola and Litoria dayii.